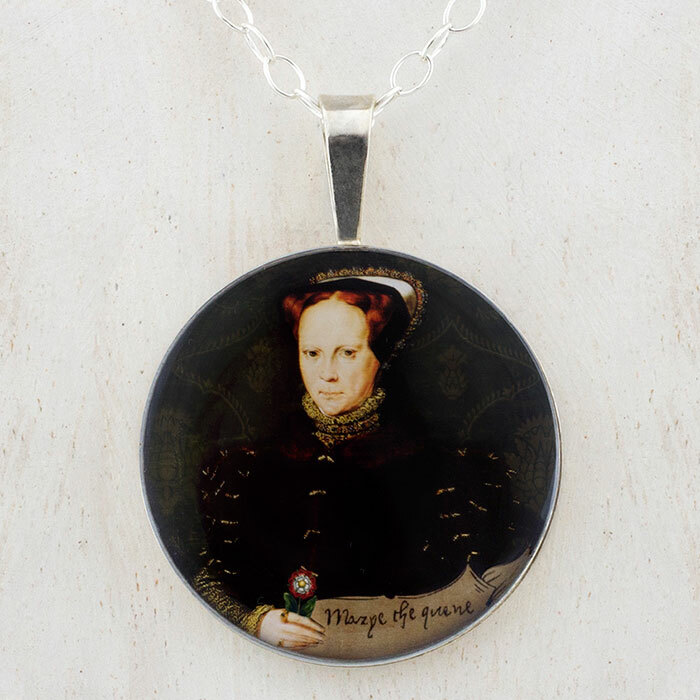 This beautiful, unique and collectible pendant features an image from a collage by Tiffini Elektra X of the Hans Eworth portrait of Mary I of England with a decorative banner and her signature. Dimensions: Pendant is approx. 1 and 3/16 inches in diameter (30mm).